Many of you who know me also know my dog Ruthie. 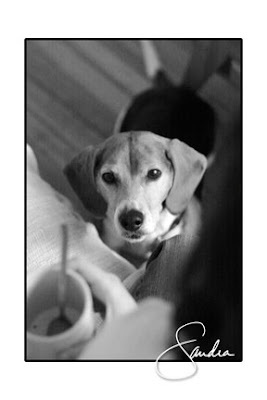 She's a lovable beagle with some quirks that are not always so lovable. 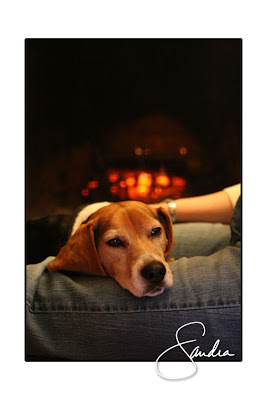 Last week I got some photos of her cuddling by the fire with Brett, that is until a mug of ice cream was introduced; Ruthie's greatest weakness is FOOD!